WARNING: Looking at these photos on your phone’s screen will cause you to miss unspeakable amounts of enjoyment. Being a musical, most scenes have a lot of cast, who look like ants on your tiny pocket-size screen. Find a real computer with a real monitor – there has to be at least one in your house – to enjoy all you’re about to see. All show and tech photos are online now for your viewing and reminiscing pleasure. The Tech section also contains Beauty and the Beast because the creative and production crews were largely the same and this makes them easier to look at. Come to think of it, the production crew was also creative team. Now that’s versatility! Try to put the musical numbers with the photos! 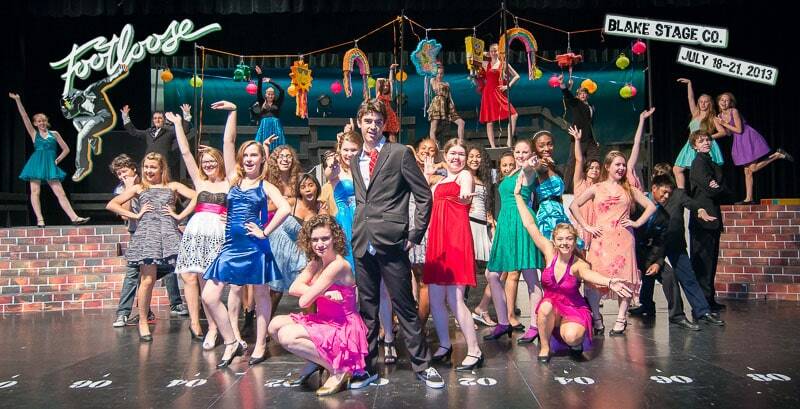 For something else to do while you digest the hundreds of FOOTLOOSE! 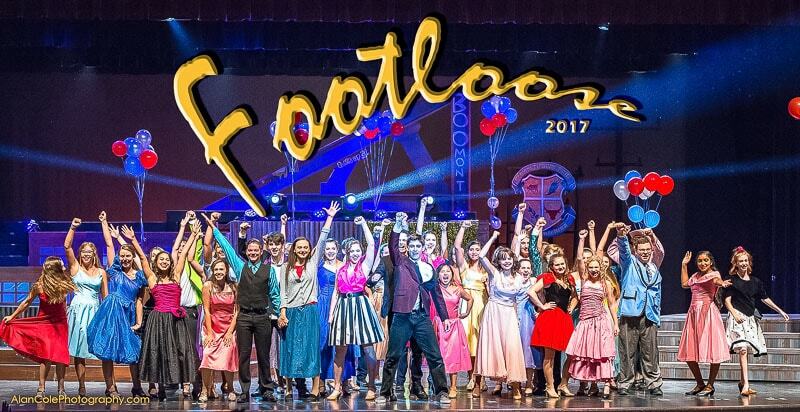 2017 photos, before you leave your booth at the Burger Blast, enjoy some scenes from the way-back, when the Blake Summer Musical Theatre Institute show in 2013 was – you guessed it – FOOTLOOSE!